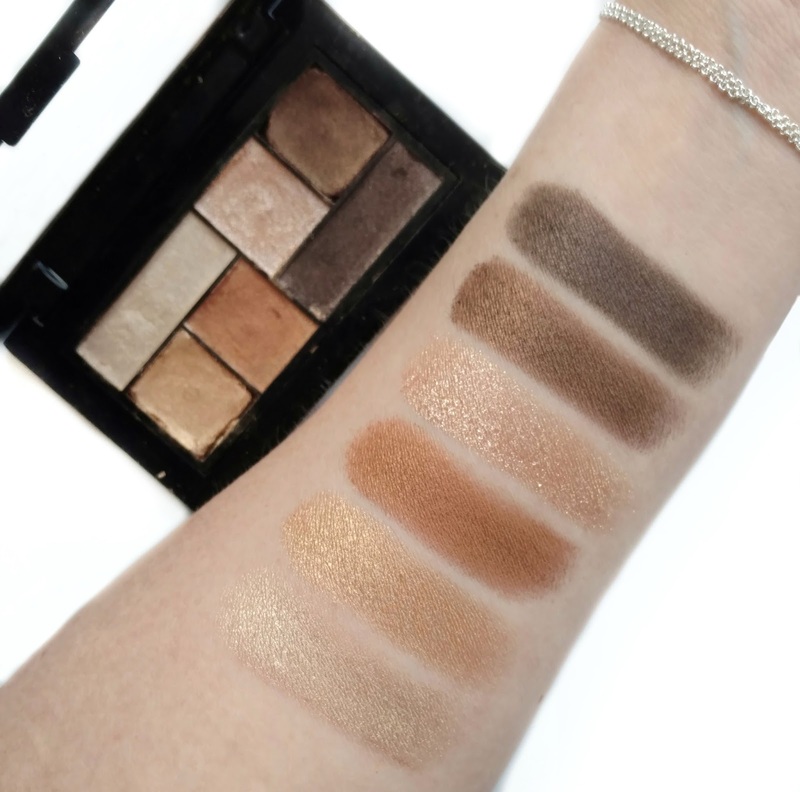 I haven't been the biggest fan of Maybelline's eyeshadow palettes in the past but every time they release a new one I have hope that maybe the formula has changed. So when I saw the new City Mini Palettes launch on Amazon.com, I ordered two of them to test out and review with my fingers crossed. First, let me just say that Amazon's packaging is terrible. They threw these into a large box by themselves (no bubble wrap, no paper...nothing), and they just rattled around until one of them broke (thankfully it didn't shatter but the eyeshadow cakes came loose from the pans and I had to put it back together like a little puzzle). Also, these eyeshadows have been poured directly into the compact, rather than being housed in metal pans which probably contributed to the breakage issue. Anyway, I wouldn't recommend ordering them from Amazon...they just launched at Ulta.com and will also be in stores any day now. Anyway, as I was trying to pick up the loose squares and put them back into place, I could already tell that this was different than Maybelline's typically dry formula. It felt so soft...I couldn't even pick it up without breaking it...I had to just kind of slide it into place. 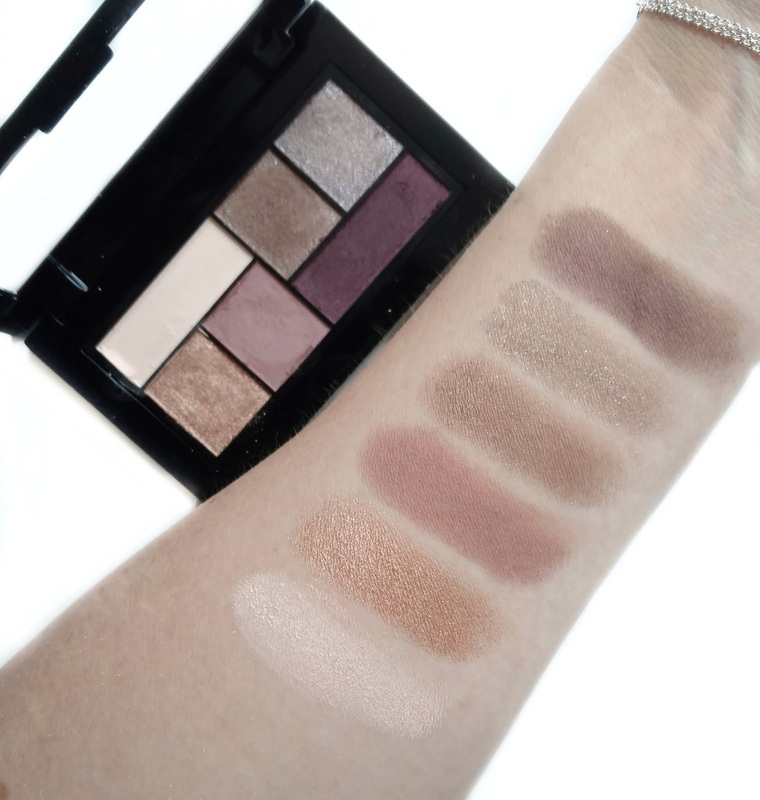 Also, the formulas seem to vary from shade to shade so I'll review both palettes in this post separately, rather than talk about them as a whole. First up is the Rooftop Bronzes, which is the one that broke in transit. It comes housed in a small compact that fits in the palm of your hand. It would be great for travel (as long as you protect it well) and it contains 6 shades in satin, shimmer, and glitter finishes (no mattes). The deeper shades (copper, medium brown, and dark brown) have more of a satiny finish, while the lightest highlight shade and the golden shade have a more shimmery finish. There is one glittery shade in this palette which is a champagne color. 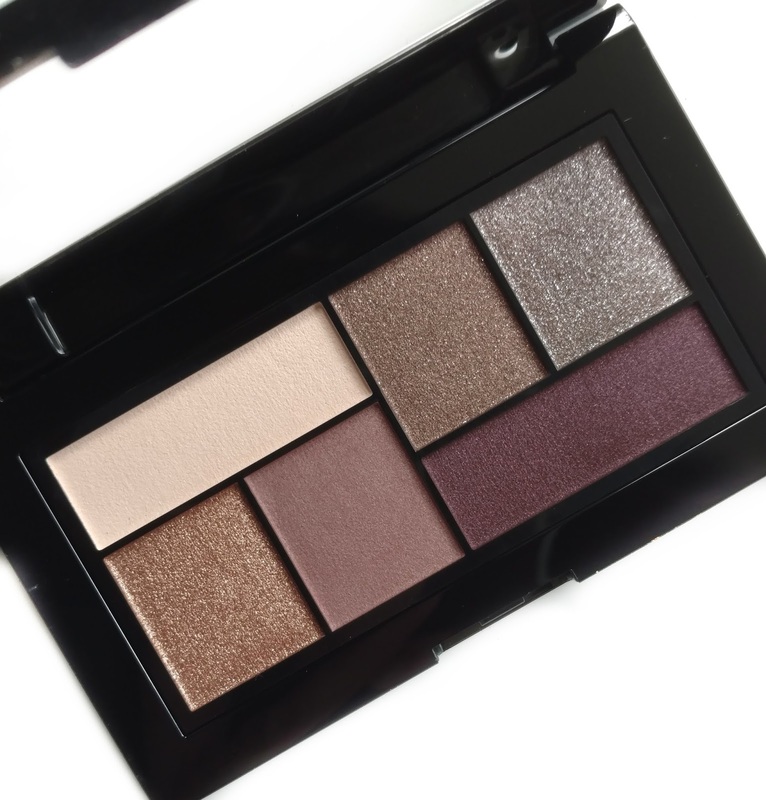 The formula is completely different than Maybelline's larger palettes and feels very much like the CoverGirl TruNaked palettes. It's buttery and soft and picks up easily on a brush or your fingers. 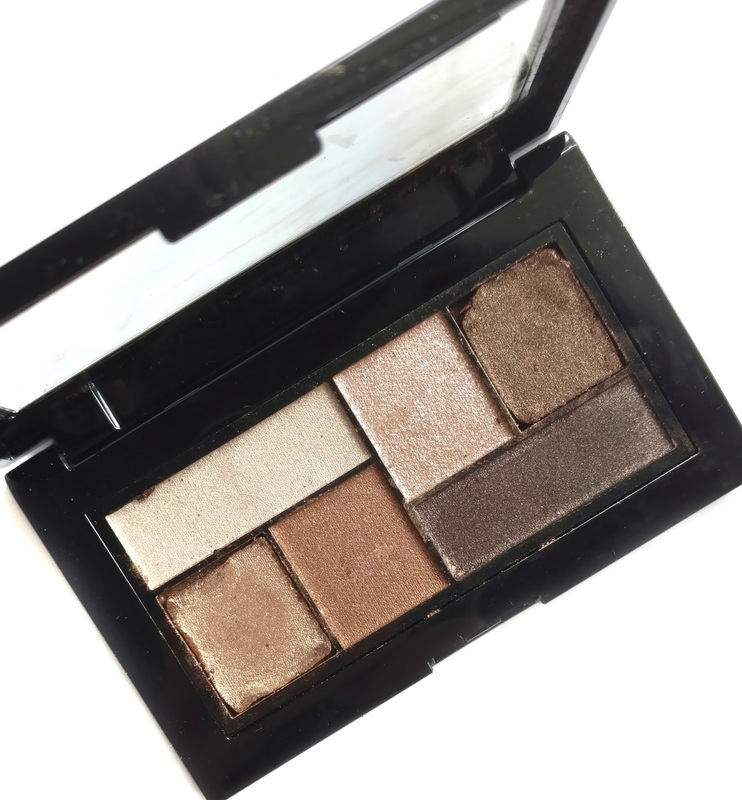 It also blends easily on the eyes and in the case of the Rooftop Bronzes palette, packs a lot of pigment, even without primer. The only shade that feels a little bit different is the glittery champagne shade...it feels more slick and less creamy but still has nice pigmentation. My swatches below are on bare skin, no primer and are one swipe. I was really impressed with this one! Chill Brunch Neutrals is more of a purple-toned theme and has three glitter shades, two mattes (cream highlight and light lavender) and one satin finish (dark purple). The formula on this one feels the same as the Rooftop Bronzes but for some reason, the pigmentation just isn't there (with the exception of the light cream highlight shade). The glittery shades end up being mostly glitter without a lot of color, and the two purple shades go on very muted and are difficult to build up to an intense color. 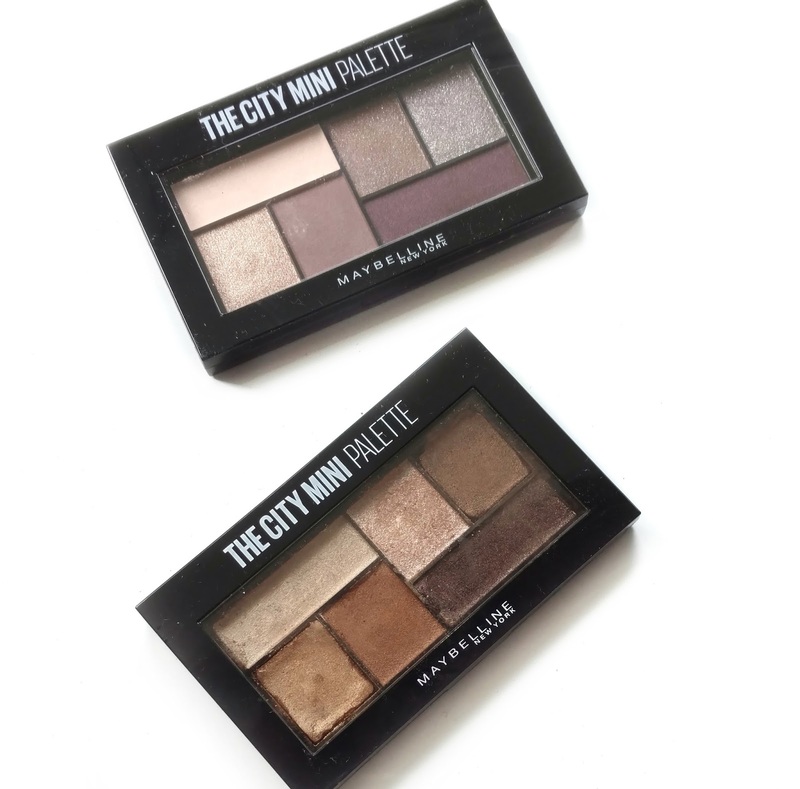 Overall, I've had a very hit-or-miss experience so far with the Maybelline City Mini Palettes. The Rooftop Bronzes is excellent and I would highly recommend that one, while the Chill Brunch Neutrals palette was a bit of a dud. Also, these are $9.99 each which is kind of steep for how small they are, so keep that in mind. I'd love to hear from you if you've tried any of the other shades in the collection and what your experience has been with these. Woah, $9.99 for these little palettes? I would have thought maybe $6.99 since the large 10 color palettes are priced around $11. But that bronze one looks amazing! As far as the other one, I always have bad luck with purple shades so I'm not surprised that one didn't work out. $9.99 for a smaller Maybelline palette does seem expensive. I've noticed drugstore makeup prices really going up in the last year or so, and I only buy them in BOGO or BOGOHO sales any more. That bronze palette is gorgeous. Yes they really have been going up lately! I feel like the gap is closing between drugstore and mid-range...sometimes I think to myself, "well if I only spend a few dollars more I can get, XYZ from Sephora". It's crazy!